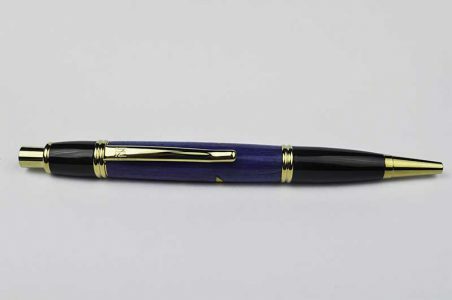 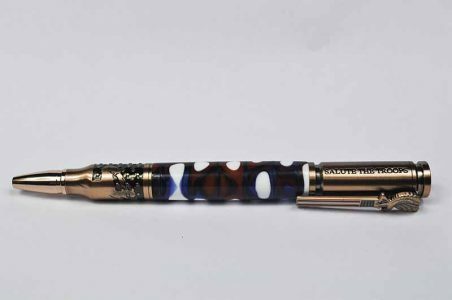 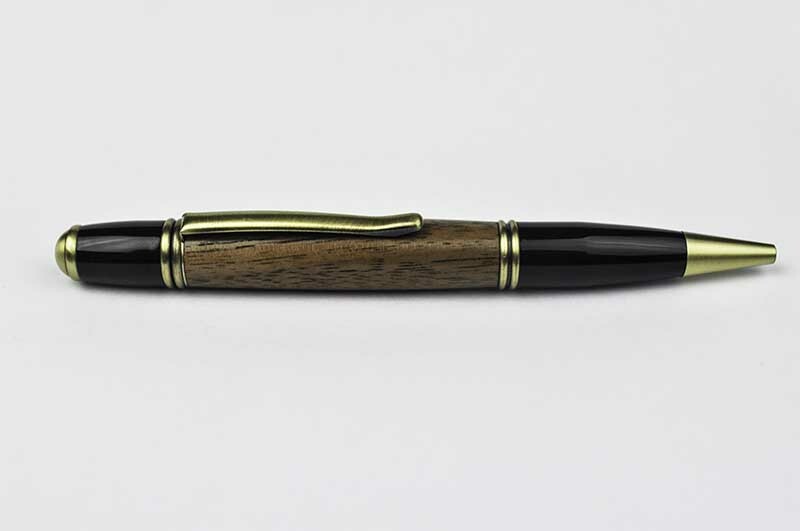 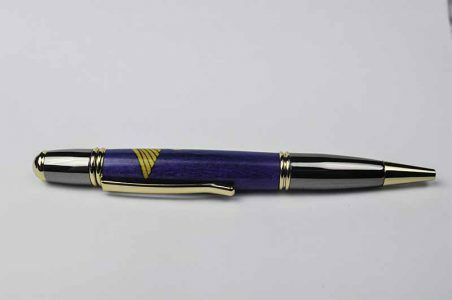 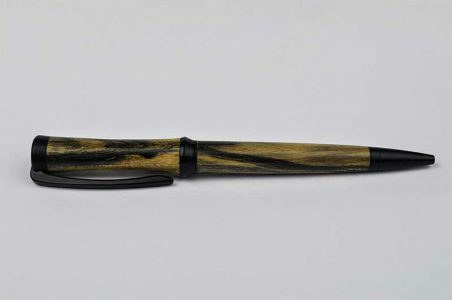 This exquisite pen exhibits mystery, flair and elegance. 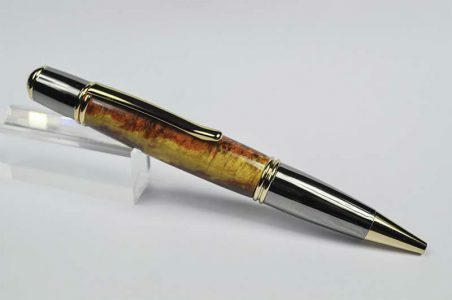 It has a streamlined look with a smooth twist mechanism. 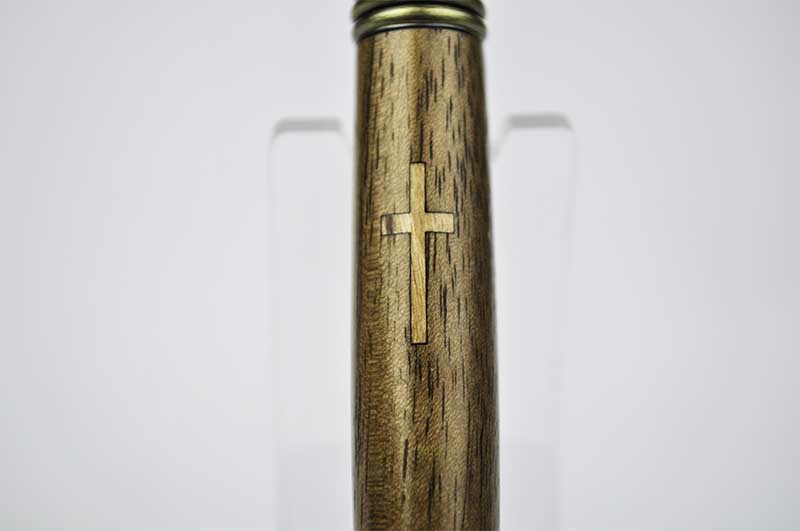 The body is made of a dark maple with a light colored Cross inlayed. 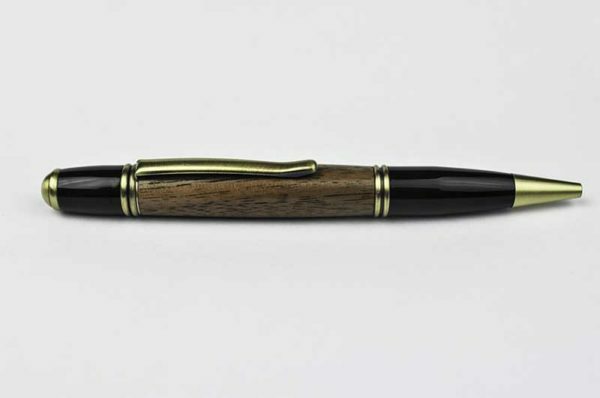 With Antique Brass accents.